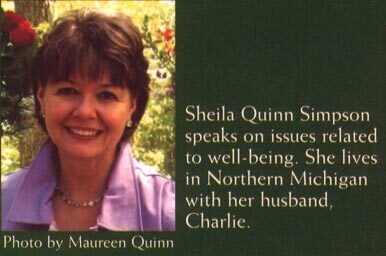 Sheila's book can be purchased from Balcony Publications (see Business Card) for $12.95. There is a discount for orders over 5 and notify the company when ordering that you're a MW Alum. This will also be released as a book on CD for $10.00.